This page contains information about new product developments, Dekoback’s brands, and the business itself. Please contact our media point of contact image material including logos, product and atmospheric shots in print-ready or digital media quality. Are you a journalist and interested in our product range, or do you have questions about our business? Do you write baking recipes or report on current product trends? Are you a rising star in the baking firmament and are you looking for a partner to collaborate with? Get in touch with us: we are always available for queries, suggestions, and requests for cooperation. Right at the start of the berry season, Decocino is launching the Clear Cake Jelly Glaze Spray for all berry lovers. The spray is the first of its kind and a wonderful alternative to traditional cake glaze in powdered form. No mixing, no heating, no waiting. Just spray on the Decocino glaze spray. Your berry cake is ready to serve and eat. The cake glaze creates fabulous effects on fruit salads too. The spray is incredibly easy to use for glazing fruit, snacks, baked goods and many other items. Made with agar, a vegetable gelling agent, the spray is suitable for vegetarians and vegans. The recommended retail price (RRP) is Euro 4.99 for a 75 ml can. Decocino has continued a U.S. success story by being the first to sell “Gold Stars”, “Silver Stars” and “Pink Hearts” glittery confetti in Europe´s supermarkets. Sprinkle on some glittery stars and hearts for a lovely sparkly look on cakes and pastries. The sparkling confetti have a wide variety of applications - on cream, toppings, icing, coatings and directly on to baked goods of all kinds. Ideal for birthday cakes, cupcakes, cake pops, party pastries and lots more. The recommended retail price is Euro 3.99. Decocino has introduced a novel alpaca decorative figure to its baking range. Decocino cake decorations are high-quality and safely packaged. The pieces are hand decorated and full of small, lovingly applied details. Add variety to decorating with two differently coloured alpacas in each packet. Turn plain muffins and cakes into beautifully decorated baked goods in a jiffy, just as you like them. The decorations have a recommended retail price of € 3.99. 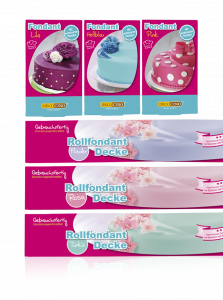 Dekoback is 2018 one of the strongest sellers in the cake decoration segment in Germany. The company has established itself as a leading provider of cake decorations for food retailers and drugstores with a blend of trendy packaging, exciting product innovations, social media campaigns and high-reach partnerships, including Sally the food blogging star. The market segment grew by approx. € 1.4 million in 2018 compared to the previous year. 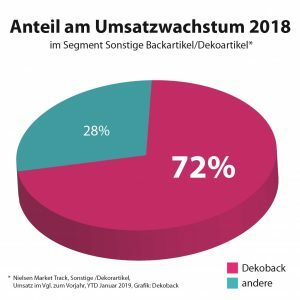 Around € 1 million of the increase in sales was generated by Dekoback. This figure corresponds to 72% of the increase. The “Decocino” baking brand has made this recently founded company a strong seller in the sector. Dekoback GmbH was founded in 2009 as a trading platform dealing solely with non-food baking goods. During 2012 the company began to specialise in the development and sale of edible and non-edible decorations for baked goods. Online trading with non-food baking articles has been suspended in the meantime. 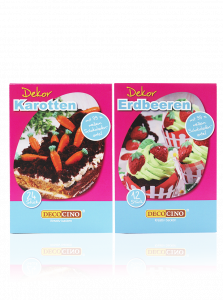 Dekoback´s own “Decocino” brand focusses on baking decorations and ingredients developed by our own specialists. Edible butterflies, flowers, unicorns, teddy bears & co., sugar pearls and sprinkles, muffin and cake discs, rolling fondant and food colouring pastes have been developed to appeal strongly to a target group enjoying creative, customised baking. Baking items based on famous films such as Star Wars and Frozen are also part of the range, as are new, smart versions of traditional additives such as vanilla extract, non-stick baking spray and food adhesives. Dekoback home baking products are sold to customers under the brand name “Decocino” primarily through domestic and foreign trading partners in the stationary food retailing business. The organic baking brand “caBIOke” has also been on the market since 2016. Decocino products can be purchased in many retail outlets in German speaking countries, including Edeka, Globus, Kaufland, Markant, Migros, Mueller, Penny, Real and Rewe. The products are sold at around 30,000 outlets worldwide. With the new cake topper from Decocino, the party is saved! With these, both baking professionals as well as amateurs can embellish their cakes in no time at all – decorating has never been so easy! The cake toppers with “Happy Birthday” lettering are available in blue and pink designs for boys and girls respectively. The wafer plaques have a diameter of 12cm and are available now at an RRP of 1.99 Euro in leading food and specialist shops. Decocino Number Fountains are the sparkling highlight of every birthday cake. Available in the numbers 0-9 and with a burning time of roughly 35 seconds, they are a real eye-catcher at any party. The silver sparks make cakes and bakes shine – an absolute must-have for every birthday cake. 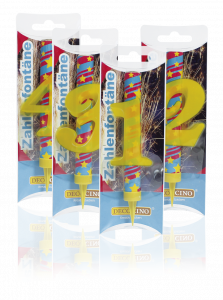 Decocino Number Fountains are expected to be on sale from the 7/8th week of the year for an RRP of 2.29 Euro each in leading food and specialist shops. Decocino is extending its most popular product categories with attractive new colours. The Sugar Paste ready-rolled is now available in pink, lilac and turquoise. The best-selling Decocino Sugar Paste has been supplemented with the colours purple, pink and light blue. The range of Food Colouring Pastes is growing with the new colour purple. So there are no longer any boundaries to creative and colourful baking. The Decocino Sugar Paste ready-rolled in pink, lilac and turquoise is available immediately for an RRP of 3.99 Euro, the Sugar Paste in purple, pink and light blue (250g) for an RRP of 2.99 Euro each and the purple Food Colouring Paste (25g) for an RRP of 2.99 Euro at leading food and specialist retailers. For the first time, Decocino is bringing chocolate decorations in the shape of strawberries and carrots onto the market. The strawberry and carrot decorations in 3D effect contain 99% white chocolate and are completely coloured. They are reversible and can be used without problem on cream, ganache, frosting and cremes. Especially suitable for spring and Easter cakes, they will smarten up cakes, cupcakes and other bakes. Decocino strawberry and carrot decorations are expected to be on sale from the 6th week of the year at an RRP of 2.99 Euro each in leading food and specialist shops. If you want to have fun with cake decorating, then you need the right products to help you. And you must have the right tools as well. Decocino’s new cake decorating tools have been developed through many years of experience. The result is a set of items made of strong materials, with high-quality workmanship, that are very easy to use. It is beautifully simple to cover cakes with sugar paste when you use the Decocino Rolling Pin and Fondant Smoother. The Decocino Icing Comb Kit and Piping Nozzles Kit give you lots of different ways of decorating with buttercream and cream. Decocino Modelling Tools have a metal centre and latex covering, which makes them comfortable to hold, and easy to use. The varied Decocino Fondant Cutter Kit contains flowers, leaves, snowflakes, and many other shapes in various sizes, some of them with release mechanism and stamping patterns. Baking enthusiasts are sure to have great fun making wonderful creations with Decocino’s new cake decorating tools – from covering cakes and pies, to modelling figures and shapes and even adding fantastic flower toppings as well. Decocino cake decorating tools are expected to be available from calendar week 8 in leading groceries and specialist baking shops. For all baking enthusiasts who want to colourfully decorate their cupcakes, cakes, and gateaus, but at the same time do without additional sugar for the decorations, there is now Decocino Deco Shredder. The five varieties of Deco Shredder with pink and white patterned hearts, dazzlingly bright confetti, fine edible paper flakes in pink, blue and white offer many decorating possibilities and go with every recipe. 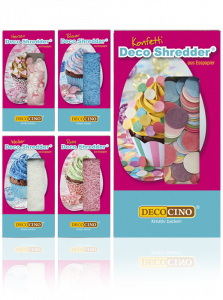 All varieties of Decocino Deco Shredder are made from edible paper. The new product is available immediately for €1.69 RRP (pink, white, blue) and €1.99 RRP (hearts, confetti), in leading department stores and supermarkets. 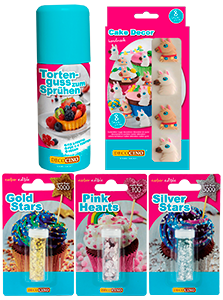 The Decocino Metallic Spray is suitable for sugar paste. It adheres well to all foods such as chocolate, marzipan, buttercream, etc. and can easily decorate baked goods. The Metallic Spray gives a vibrant effect to cakes, muffins, pralines, biscuits and even fruit! This awesome new product is available in four colours: gold, silver, copper and pink. 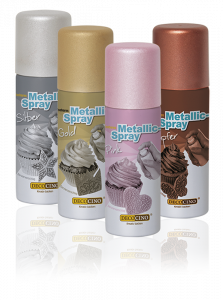 The new Decocino Metallic Spray is now available in leading specialist stores and grocery stores with an RRP of €4.99. With almost 12 million viewers each month on her YouTube channel “Sally’s World”, baking star Sally will work in collaboration with VOX to excite and wow baking fans who are not already familiar with her channel. In her new VOX show “Sally Bakes”, she invites young guests between 8 and 18 years old to bake with her. During the show, Sally will provide inspiration and know-how on baking a special cake for whoever the guest wishes, be it the grandmother, the parents of even the best friend. At the end of each show, the finished cake will be presented as a surprise. Sally’s guests will be joined by her two daughters and her husband, Murat. Sally’s family also support the baking star in her YouTube videos. The festive cakes will be iced with the Decocino Sugar Paste. Figures for the cakes are modelled by Sally with the Decocino DecoChoc and other Decocino products will also feature in the show. “Sally Bakes” can be viewed on VOX from 26.11.2017 at 3pm. In the sandpit, on the football field or in the school playground - when it comes to the wellbeing of their children, many parents forget how to have fun. They shout motivation to their children to score a goal in a football game. They boast happily about their children's school achievements as if they were their own. They melt with pride and happiness when their offspring show creativity and uniqueness. No matter how far the apple falls from the tree, or how skewed the achievements are, parents will monitor, comment and document everything their children do - and rarely do they keep that to themselves. Decocino’s spot “Baking At Your Own Risk” takes this parental behaviour to a new level. Let’s get straight to the plot: it’s a beautiful autumn afternoon and two mothers are sitting with their daughters in a sandpit. The children are making sand castles (or better, sand cakes) with the mothers hanging around. Enter a stunningly decorated three-tiered sand cake, crafted skilfully by one of the girls. Without hesitation, the girl’s mother whips out her phone to take a picture. The other mother becomes livid with envy and runs to the cake and destroys it. 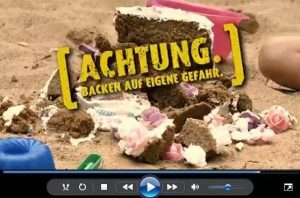 This seemingly harmless sand cake-scenario turns into a playground nightmare. This video is the first spot in Decocino’s online video campaign and will air on YouTube and other social media channels from the 20th of September until the 3rd of October. This campaign will mark a continuation of Decocino’s social media strategy. In 2013, Decocino started collaborating with the YouTube channel “Sally’s World”, which at the time was relatively unknown. Today, Sally is one of Germany’s top food influencers and Europe’s number 2 - with around 12 million viewers each month on YouTube alone. On her channel, Sally exclusively uses Decocino products in decorating her cakes and desserts. From 2017, Sally in collaboration with Decocino released a product line revolving around baking. The business is simultaneously investing further into promoting their digital strategy and in the online video campaign for example, great attention is put into direct dialogue with their customers via social media, thus highlighting their leading position in the industry. According to the DigitasLBi study in 2015 entitled “Connected Commerce”, 32% of social media users choose to buy a product or service based on a referral or recommendation via a social media platform. Furthermore, according to the report “Social Media Atlas 2015/2016” from the Hamburg-based communications and consultancy group Factkontor in collaboration with Toluna, a market research group, over 27% of consumers who were surveyed made purchasing decisions based on advertising across social media platforms. Decocino’s new range of sugar sprinkles are almost too pretty to eat! The totally up-to-the-minute packaging fits perfectly in the hand, while the sprinkles themselves are easy to dispense and measure out correctly. The stackable packaging can be resealed via a convenient screw top. There are eight different designs of sugar sprinkles, from glossy pearls with a luxurious, matte shimmering effect in a choice of pink, white, or light-blue; multi-coloured mini butterflies, mini hearts and mini diamonds, as well as the traditional nonpareil and sprinkle mix verieties. 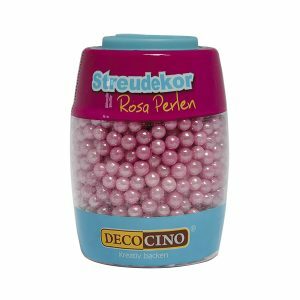 The new Decocino sugar sprinkles are available immediately at €1.49 RRP in leading specialist stores and grocery stores. Decocino’s new gum paste is the ideal product for bakers and pros. It can be rolled very thin without tearing, as well as being extremely easy to work with. A little practice is all it takes to create simple roses, flowers, leaves, letters, numbers, and other small decorative elements. Due to its high elasticity, it is also suitable for artistic floral creations. When mixed with sugar paste in a one-to-one ratio, the result is modelling fondant that can easily transform character ideas into reality. There’s also no limit on colouring options, as Decocino paste offers unlimited dyeing options with our food colouring pastes. The product has been available in leading specialist stores and grocery stores since March 2017 with an RRP of €3.99. Instead of Grandma’s apple pies, cupcakes and intricately designed tarts are making their way to the tea table more and more. The new style of creative baking is on an upward trend, particularly with a younger audience, and, with its Cabioke organic sugar paste, Dekoback now offers the chance to enjoy decorative products in organic quality. The baking market has been in a state of flux for years. Traditional baking products are seeing an ongoing decline in demand: instead, colourful decorations, edible cake toppings and sugar paste are taking over on the supermarket shelves. The new interest in baking has also transformed the target audience, to include many more young bakers, and this transformation is down to the many baking bloggers and YouTubers who share their ideas – and their baking creations – digitally. Baking videos in particular are enjoying massive popularity. Europe’s most successful baking YouTuber is Sally Özcan, and her German-language YouTube channel “Sallys Welt” (“Sally’s World”) has over a million subscribers, with her videos being watched over 15 million times per month. With such a high level of interest in baking, it’s no wonder that the “creative baking ingredients” segment has also experienced dynamic growth in the retail sector. In 2016, it reported double-digit growth with new, trendy products constantly being launched. With Cabioke’s organic sugar paste, nutrition-conscious baking enthusiasts can make their creative baking ideas a reality. With Cabioke’s organic sugar paste, nutrition-conscious baking enthusiasts can make their creative baking ideas and try their own versions of the recipes from Sallys Welt and other baking bloggers. Cabioke sugar paste is easy to work with. It is extremely elastic, which means that it resists tearing and adapts its shape to fit any cake exactly. Cabioke sugar paste is free from palm oil and certified as organic in accordance with the DE-ÖKO 022 standard. Cabioke organic sugar paste is available from March 2017 in leading specialist stores and grocery stores with an RRP of €3.99. This innovative product has been winning over baking enthusiasts and buyers for food retailers with clear product benefits. The edible glue is easy to use, with a neutral taste. It sticks quickly and securely and is highly productive. Attaching sugar, fondant, marzipan, modelling chocolate, edible paper or wafer baking decorations to cakes, muffins, and the like, becomes child’s play. Decocino edible glue is therefore the ideal addition to the creative baker’s toolset. 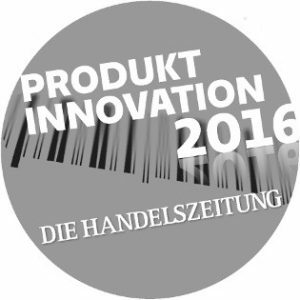 As an independent journal for the food retail sector in Austria, Handelszeitung prepares an annual ranking of the most innovative products, which is based on the assessments of buyers for leading Austrian food retailers. With cumulative growth of 14%, creative baking products are the highest-growth sector in the baking products market in Austria. 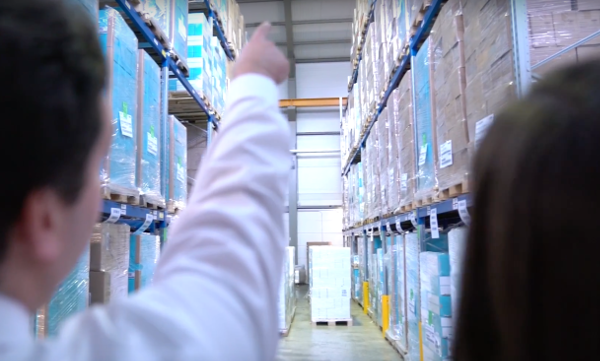 Dekoback offers innovative products to allow traditional food and specialist retailers to keep up with current trends. With a range that extends to over 100 products, the company is the driving force behind growth in the segment, including in Austria. In addition to its constant innovation, this growth is attributable to the company’s close collaboration with Germany’s best-known YouTuber and food blogger, Sallys Welt (“Sally’s World”). Sally is the well-known and highly effective brand spokesperson for Decocino products with over 15 million monthly viewers. 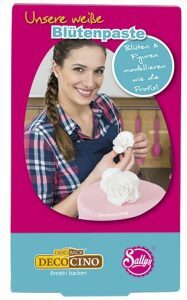 Working in conjunction with Germany’s best-known food blogger, Sally, Decocino has now developed a baking spray, making it easy to cleanly release freshly-baked cakes, muffins, waffles, cake pops and the like from their moulds without stickiness to ensure perfectly shaped cakes and muffins. It even saves the effort of preparing the mould with a pastry brush and baking paper. Decocino’s baking spray is made from pure vegetable oil and is suitable for all baking moulds and trays including silicone baking moulds, waffle irons, baking trays, and so on. This new addition to the Decocino product range is available from mid-January 2017 onwards at an RRP of €4.99 in leading specialist stores and grocery stores.